Robert is very much a Dorset artist. He was born in Bournemouth in 1964 and continues to live in the town with his wife and family. At school his ability as a painter was noticed and after leaving he undertook the 2 year foundation course at Shelley Park School of Art in Bournemouth. After this he went to the Slade where he studied from 1983 to 1987. 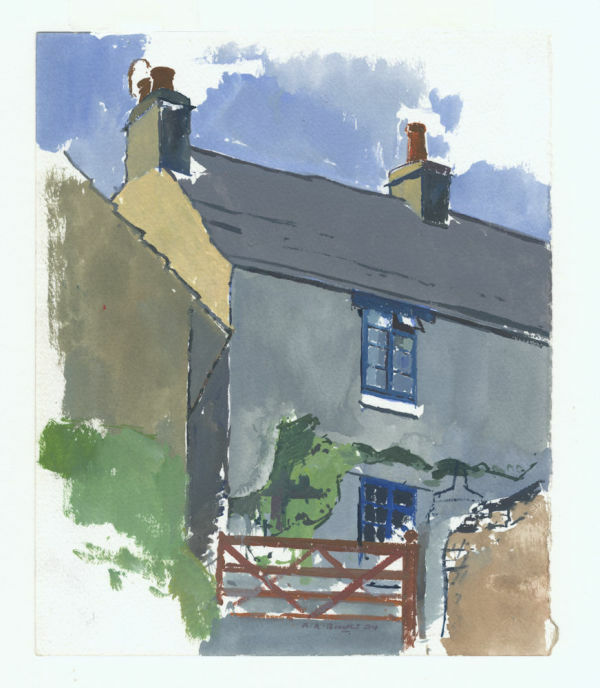 He was taught by Patrick George and Euan Uglow while at the Slade. It is fair to say that his work has been deeply influenced by what the learnt at this time. It provided a firm foundation on which his individual style has been built, a process which continues to this day. Robert’s work is characterized by the depth of his commitment to producing art in the way he thinks it should be made. He eschews the easy option of working in the studio from photographs and can sometimes be seen on a Purbeck hill, or in one of our fields, working en plein aire. He is no miniaturist and takes with him a studio easel and large canvas. Working in this way he captures an immediacy of relationship to his subject which evades those who opt for a more comfortable approach. He says the influences on his work are impressionism and Italian art. If this is so it must be a very English impressionism because any journey on roads rolling over limestone and chalks hills furnishes a constant source of visual references to his paintings of Purbeck. Something in the pattern of light fields and dark hedges, of lines seeming to meet at random angles evokes the visual language he employs. Although we know him best in a parochial context Robert has painted in Italy, France, Cyprus and Chile and his paintings are in private collections in Cyprus, Chile, France and Spain.